Hodges, Harteau public spat has some wondering: who's in charge? 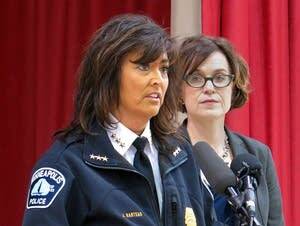 The strange optics of Mayor Hodges' blocking of a major promotion by her police chief has confused some in Minneapolis. 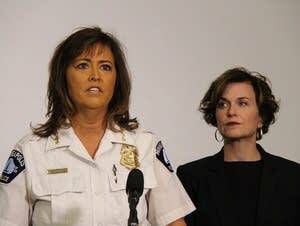 Hours after her police chief announced staff changes, Minneapolis Mayor Betsy Hodges overruled Chief Janee Harteau on one of them. Harteau said Thursday she was disappointed by the mayor's move. A local NAACP leader and some of Jamar Clark's family said they're disappointed in Allen Scarsella's sentence for shooting five people at a north Minneapolis protest. "I don't believe for a second you wore a mask that night because it was cold," the judge told Allen Scarsella as she sentenced him for shooting five black men protesting the 2015 police killing of Jamar Clark. 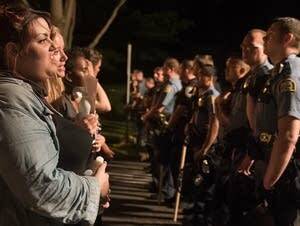 A Hennepin County jury in February found Allen Scarsella guilty of the 2015 shooting of five Black Lives Matter protesters. He faces up to 19 years in prison. 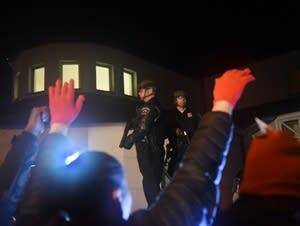 Five protesters were shot in the aftermath of Jamar Clark's death. Now the gunman faces sentencing. 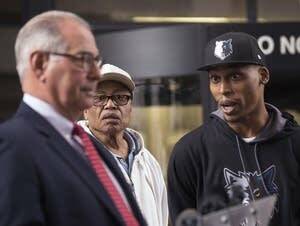 Four guests with varying views on police-citizen relations answered questions recently in St. Paul about the divide between communities of color and the police, and to bridge the gap. The order by Attorney General Jeff Sessions and the bid to reassess an agreement in Baltimore may signal that the Trump administration plans to scale back investigations and reopen past deals. 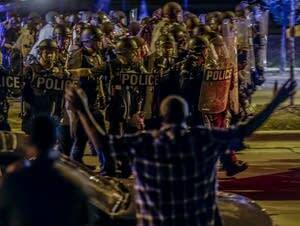 A federal review of an 18-day standoff outside the precinct following the fatal shooting of Jamar Clark, a black man, in 2015 has found problems with the city's coordination and communication. Attorney General Jeff Sessions is seeking the resignations of 46 United States attorneys who were appointed during the prior presidential administration. All charges have been dismissed against Daniel Thomas Macey, one of the men involved in a confrontation at a Jamar Clark protest in north Minneapolis in 2015. As part of Gov. Mark Dayton's budget, there is a $10 million recommendation to provide for more-regular courses in crisis response and other money to diversify departments. "The defense witnesses, except for the police, were lying through their teeth," said juror Eileen Parker, who helped convict Allen Scarsella, a white man, of shooting five black men at a 2015 Jamar Clark protest. 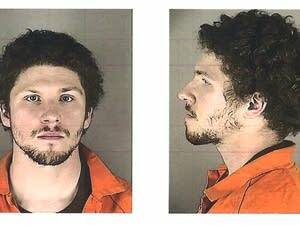 Jurors turned aside arguments by Allen Scarsella's attorney that the 24-year-old Bloomington man shot in self-defense as he and other companions were pursued by a group of protesters near the Minneapolis 4th Precinct police station. There's no question Allen Scarsella shot five black men in north Minneapolis who had been protesting the police killing of Jamar Clark. But was it a crime? A jury began deliberating on Tuesday. Allen Scarsella testified Monday that he shot at five to seven men after one came at him with what appeared to be a knife. 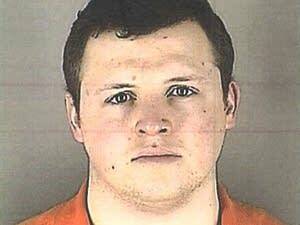 Prosecutors allege racial bias was the reason Scarsella shot. 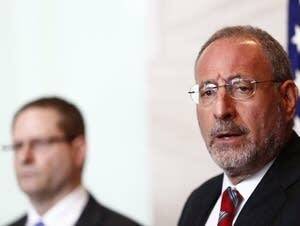 In a surprise twist, Allen Scarsella Friday agreed to testify. He began talking mostly about his background and didn't get to the details of the shooting but is expected to resume testifying on Monday. 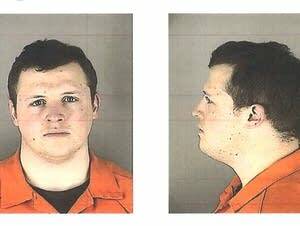 Nathan Gustavsson said Allen Scarsella shot a man who threatened him with a knife near where demonstrators were protesting the police shooting of Jamar Clark. 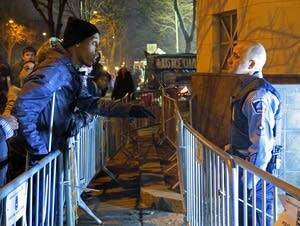 The prosecution grilled Gustavsson on his views of African-Americans. Brett Levin, a Burnsville police officer who testified in a Minneapolis court this week that he'd sent "negative" text messages about African-Americans, is no longer on the force effective Thursday, according to Burnsville police. Three witnesses testified Allen Scarsella admitted opening fire at the protesters. 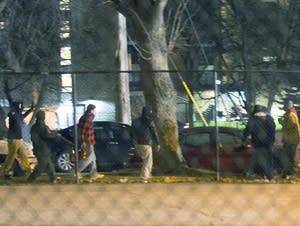 His attorneys say Scarsella fired in self-defense as protesters charged him and his friends.